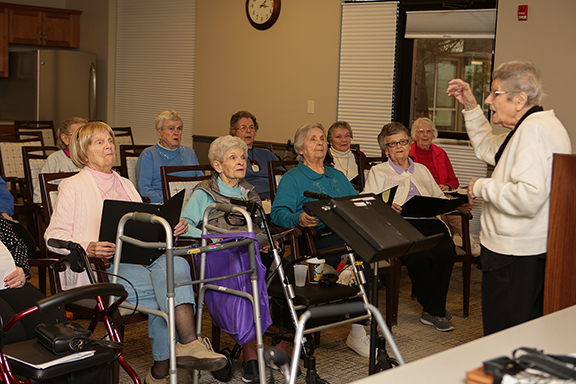 Since originally opening its doors in November of 1979, Westminster Village (WMV), a continuing care retirement community in Bloomington, has played a role in thousands of lives throughout the community. Home to nearly 350 people across the care continuum, employees embrace the company’s mission of providing excellence in senior living. The list of available amenities at WMV reads more like an advertisement for an all-inclusive resort than for a retirement community. In addition to the things one would expect like housekeeping and maintenance, residents enjoy opportunities to volunteer for non-profit organizations around town, attend local sporting events, and participate in educational activities with a local elementary school. There are ongoing opportunities to learn new things, like taking a class on conversational Spanish, joining a painting class, or attending “Mornings with the Professor” at ISU. None of those resident amenities happen by accident. From the very beginning, WMV has operated with a very deliberate strategic plan. Initially organized by the Presbytery of Northern Indiana, WMV opened in 1979. In 1981, they were re-organized as a stand-alone, non-profit entity. This corporate change has allowed Westminster Village to become a Bloomington-Normal institution and an essential part of our community. WMV’s continuum of care allows for those over the age of 55 who meet the admission requirements to live on the campus. The continuum begins with two independent living choices. Residents who want to enjoy the privacy of their own home with the added comfort and security of living in a small community setting can choose to live in The Willows Duplexes, a residential community of 21 duplex units and a community clubhouse. The second option is an independent living apartment, which is available in a variety of one and two-bedroom floorplans using modern, neutral décor to accentuate each resident’s personal furnishing and decorating preferences. The next level of the continuum is assisted living apartments. Available in a variety of floorplans, assisted living offers the privacy and convenience of apartment living with the comfort and security of a customized plan of care. Many residents in assisted living have transitioned from an independent living environment at WMV and continue to enjoy all the amenities the campus has to offer while receiving additional assistance with personal care needs. Skilled nursing care is the highest level of care in the continuum and is available at Martin Health Center. Residents transition to skilled care when their physical needs have increased to a much higher degree. 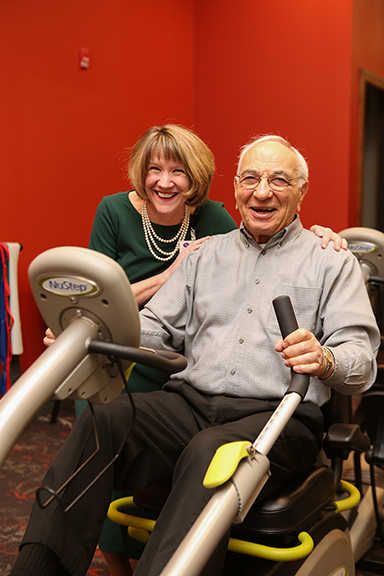 At Martin Health Center, residents have access to skilled nursing care, whether it be for short-term rehabilitation purposes or for long-term care without having to leave the WMV campus. Looking forward, WMV recognized an emerging need to grow its services and, in 2017, initiated a major campus expansion plan. “We have 340 residents at WMV right now and another 340 people on our waiting list. 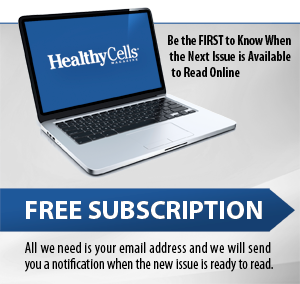 The waiting list has grown in each of the last five years. It’s the community saying ‘yes, we want to live at Westminster Village in the future!’ This expansion project was very well planned by our board of directors, so it all fits together. 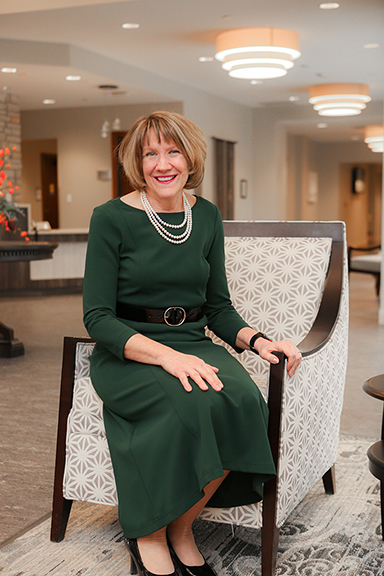 Through a series of market studies, community preference surveys, and input from residents and their families, we knew there was a need for a new assisted living facility. We also knew from those studies that Westminster Village is the place of choice for independent living in this area and that expansion of those facilities would also be necessary,” says Nathan. "When the current phase of renovations is complete, assisted living and Martin Health Center will be located in buildings adjacent to one another, thus improving the quality of life for our residents.” To facilitate that plan, it was necessary to move the main entrance from its original location off Lincoln Street to its new site, which is just to the south, off of Mercer Avenue. The delay caused by relocating the entrance allowed time to renovate some of the common areas and to add on to the skilled care building. When completed, Martin Health Center will offer private en-suite rooms grouped together into small “neighborhoods,” to allow for more personal care and a quieter environment for social interactions and rest. The renovations are scheduled to be complete in the summer of 2020. The next phase of the current expansion project will include the construction of a new assisted living building, including a memory care unit where care will be delivered in an assisted living environment. 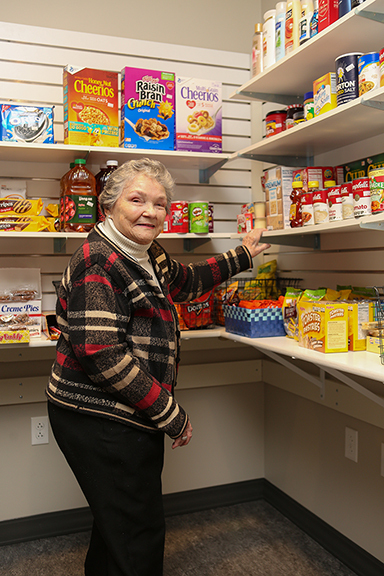 Residents and specially trained staff will eat together like a family, and there will be a much higher staff-to-resident ratio than in a traditional assisted living facility. The first and second phases of the project will add 85 living units to the Westminster facility, 50 of which will be independent living apartments. Since phase one of the renovation project has progressed, WMV residents enjoy more amenities than ever. The buildings are tastefully updated, modern, and beautiful. There are more shared spaces, including a new wellness center with state-of-the-art exercise equipment, a club room with a bar and televisions, and two brand-new dining venues offering twice as much space and more culinary options than ever before. “We’re very proud of our beautiful facility,” explains Nathan. “But all that pales in comparison to the specially trained, caring staff here at WMV. As our capacity increases, so does our staff. We’re up from 160 employees six years ago to 220 today. After this expansion is complete, we’ll end up with about 250 employees. The employees are an essential part of the WMV community and form lasting relationships with the residents. 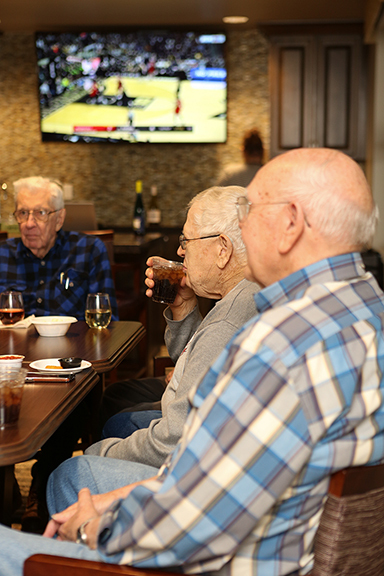 The dining room waitstaff includes high school and college students, and just as they take time to get to know the residents, the residents learn about them and can become their biggest cheerleaders. A student from Illinois Wesleyan, for example, could be serving dinner to a retired IWU professor. Knowledge is shared, and bonds of caring and compassion are created. Nathan considers it a point of pride that employee surveys show that the WMV staff, “wouldn’t trade this for any other position.” Staff development is a strategic priority for Westminster’s board of directors. “We provide ongoing training and continuing education opportunities for the staff, plus tuition reimbursement programs, even if their course of study doesn’t have anything to do with their job at WMV,” says Nathan. “We have an incredible group of people here. 2019 marks the 40th anniversary of Westminster Village, and special events are planned throughout the year to celebrate. To start, WMV has been nominated for the 2019 McLean County Chamber of Commerce’s Business Excellence Award for Large Businesses. More accolades are sure to follow. If you’ve been around town for any length of time, chances are you know someone who’s lived at Westminster. To discover more about whether a continuing care retirement community is right for you or your loved one, Nathan recommends touring each of the facilities that you’re considering and talking to the residents who live there. “It’s important to have a plan in place before you need it. Sometimes, families don’t think of a continuing care community until there is a moment of crisis, and in an emergency situation, you don’t necessarily have a choice. Every senior living facility will welcome families who want to take a tour and discuss their options.” If you’d like to learn more, call today to schedule a tour or visit www.westminstervillageinc.com. Westminster Village is a continuing care retirement community, located at 2025 East Lincoln Street in Bloomington. Our mission is to celebrate life by providing excellence in senior living through a continuum of care and services. For more information, call us at 309-663-6474, email us at info@westminstervillageinc.com or visit www.westminstervillageinc.com.